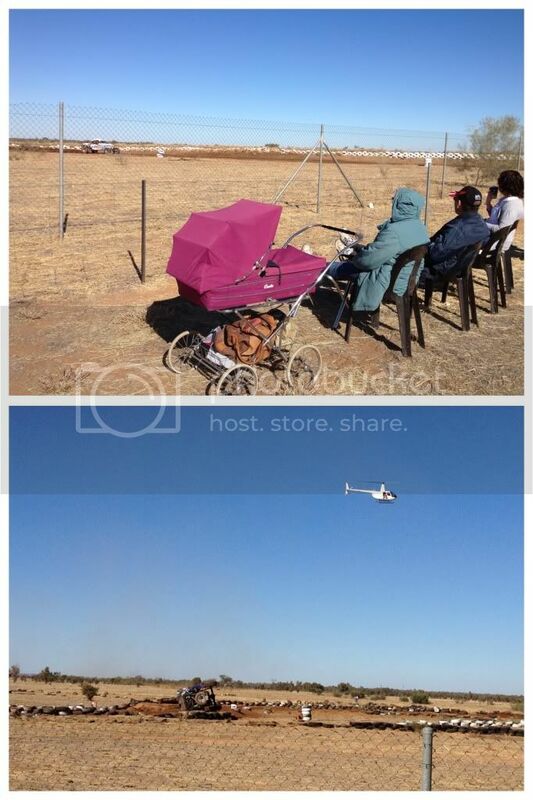 Over the long weekend Lulu attended her first Finke Desert Race. The race is held each year, with cars and dirtbikes making the 250km journey to the Finke township where they camp for the night and then race back to Alice Springs. We all were up early the first day to see the cars leave for Finke at 7:30am. Boyed by good company, coffee and fresh hot donuts, we stayed out at the track to see the bikes leave as well. Lulu slept so much while we were there we just had to return to the track the next day to see if she would repeat her epic sleeptime, but alas, it wasn't meant to be. She had much fun playing on her travel change mat and running her fingers and feet through the dirt. See my previous posts about Finke here, here, here and if you're really keen here.